Diabetic eye screening professionals used the power of social media to raise awareness of the importance of retinal screening on World Sight Day earlier this month. The Birmingham, Solihull and Black Country screening programme, based at Heartlands Hospital in Birmingahm, led the way by using Twitter, Facebook and Instagram to encourage people to post pictures of their own eyes online – ‘eye-selfies’ – using the hashtag #WSDeyeselfie. The national programme, Moorfields Eye Hospital and the International Agency for the Prevention of Blindness were among those to support the initiative which encouraged all people with diabetes aged 12 and over to attend their annual screening appointments. 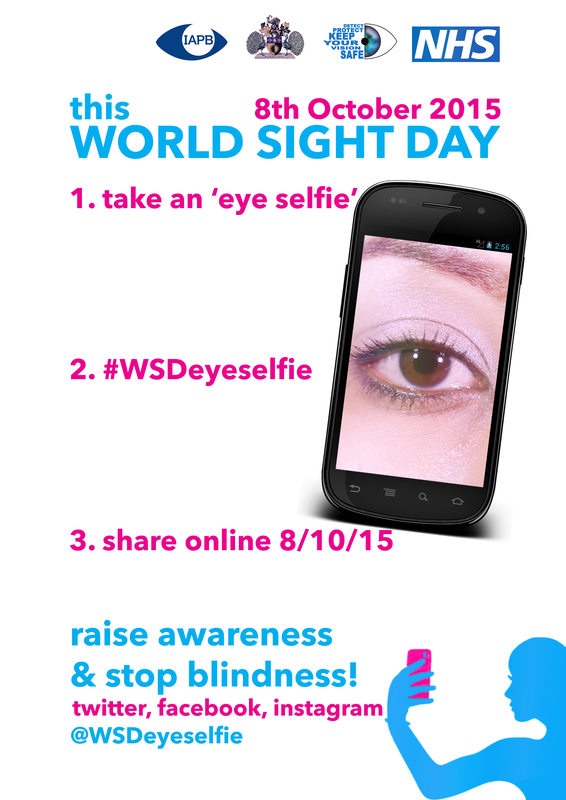 Thanks to everyone’s efforts, the #WSDeyeselfie hashtag was shared on 65,000 people’s Twitter and Facebook feeds. By clicking on the hashtag, the online community could link to a variety of posts about World Sight Day, information about sight and other eye-selfies. Scores of people posted pictures of their eyes, including Sky News presenter Stephen Dixon. Celebrities who posted retweets included Eastenders actress Rakhee Thakrar and broadcaster Rosemary Conley. The initiative demonstrated the power both of social media and ‘thinking outside the box’ in engaging with patients and potential new audiences about screening. And the resourceful folk at Heartlands Hospital are already planning something similar for World Sight Day 2016 when they aim to reach even more people by getting other partners on board at an earlier stage and promoting the idea sooner. The Birmingham, Solihull and Black Country programme has also produced an awareness video to explain diabetic retinopathy and diabetic eye screening to the public. The video is also available as a short version, in Arabic, Bengali/Sylheti, Chinese/Mandarin, Gujarati, Hindi, Pashto, Polish, Punjabi, Romanian, Somali and Urdu.